Located between Dallas and Ft. Worth and home to major corporate employers, Arlington, Texas is an excellent job location for an individual with forklift certification. Arlington, TX is one of the country’s fastest growing cities and home to tons of cultural and entertainment destinations, making it an exciting place to live. If you’re considering a move to Arlington, forklift certification will provide you with tremendous job opportunities and an excellent quality of life. Arlington’s economy continues to grow every year. The city is a major manufacturing hub for Texas and the greater United States. Arlington, TX also produces medical, electronic, and oil-field equipment, as well as rubber and plastic products, all of which require people with proper forklift training for manufacturing, storing and shipping. Arlington is also located just 5 miles from the Dallas/Fort Worth International Airport, making Arlington a major transportation hub for the area with plenty of job opportunities. Arlington employers are responsible for ensuing their employees are trained to the latest OSHA forklift safety standards. CertifyMe.net, the leader in online training, provides forklift certification in Arlington for anyone who needs it. With affordable prices, lifetime support, and free renewal training, we’re the preferred source for Arlington forklift certification! Arlington Forklift Training Can Get You Ahead! Employers are constantly looking for potential employees with forklift certification in Arlington, TX, and if you have the proper certification, you’ll not only stand out from the competition, but also potentially be eligible for higher starting pay then someone without training and certification. With our forklift certification in Arlington, employees and employers both benefit. Workers have better job prospects, and employers are protected from costly OSHA audits and investigations. While you can get your forklift certification in Arlington, TX individually, there are also a number of employers that offer forklift training in Arlington. CertifyMe.net offers a wide variety of programs for businesses to offer onsite training to their employees, both for small companies and companies with multiple locations. The University of Texas, Arlington forklift training program helps train potential employees, but if you already have forklift training in Arlington, you can save yourself lots of time and money, and apply directly for jobs even before arriving in town. 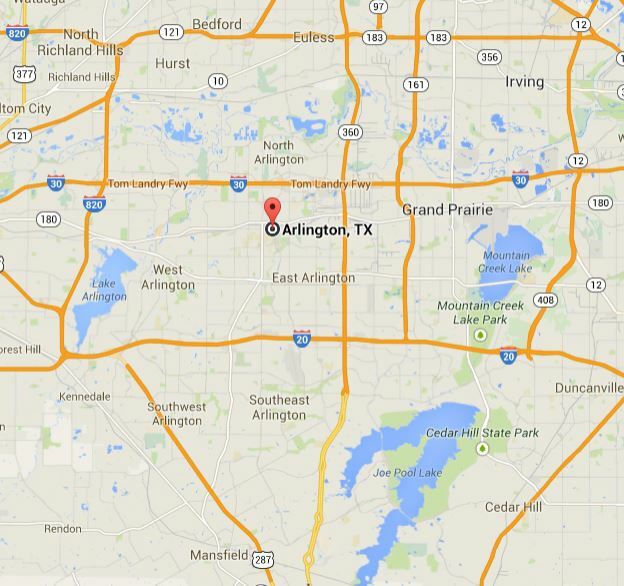 For those with forklift certification, Arlington, TX is an exciting place to live. Known as the entertainment capital of Texas because of its Six Flags Over Texas amusement park and Hurricane Harbor Water Park, Arlington is also home to a thriving arts and culture scene, and is full of diverse array of museums, theaters and other attractions. The city also boasts local and state parks, professional sports teams, and other attractions. If you’re looking to get forklift training, Arlington is a promising destination to consider for plenty of job opportunities and a fun place to call home. Find out how CertifyMe.net can get you certified and help you find the job of your dreams in Arlington. We’re here to help with your forklift certification in Arlington. CertifyMe.net helps companies all across Arlington, Texas, and the United States with their forklift safety training programs. You can’t afford to skip your firm’s safety requirements. Let CertifyMe.net take care of your Arlington forklift certification needs. It’s never been easier to get your employees OSHA compliance – contact us today to find out how! Thinking about forklift certification in a different Texas city? Learn more about Texas Forklift Training!